There is more than a bit of magical time traveling that happens when the Chatham Band performs on a summer’s Friday evening. There’s something intrinsically olde Cape Cod about it all—the nostalgic innocence of a Norman Rockwell illustration torn from a Saturday Evening Post coming to life with the pageantry from Meredith Wilson’s “The Music Man,” when the most dangerous threat to the world was a pool table. The phrase “simpler times”—that catchall phrase that can mean many things to many people—comes to mind. The skeptic and the cynic, those scourges of the modern world, might briefly look up from their screens and dismiss it all as “corny” or “sentimental.” But they would be wrong. Given how much the world has changed since the concerts started in 1932, we could probably use a few more Chatham Band concerts on summer nights. Every Friday evening for 10 weeks, teachers and plumbers, shopkeepers and students, people you see everyday, are transformed into musicians dressed in scarlet finery, each bearing a glittery instrument. The music is standard fare for summer concerts: anthems like “America, the Beautiful,” show tunes and Sousa marches. It’s music that is light and happy or rousing and emotional but never dark or depressing. Maybe the most important thing is that it’s all so unapologetically feel-good. One would think the transformation of a summer’s day into a magical night would be a simple matter of saying the magic words, Hip-Hip Hi-De-Ho, with a wave of a conductor’s baton. Ah, but it’s not that easy. It couldn’t be. Otherwise, how only in Chatham could this magic happen for 86 consecutive seasons (excluding four seasons during World War II)? Surely some dark stranger who arrived from over the bridge would know how to clone the magic, distill it, bottle it and sell it over the Internet. Don’t worry; it hasn’t happened yet, and it won’t. The Chatham Band concerts are as safe as every memory of olde Cape Cod you hold dear in your heart. The current keeper of the flame is bandleader Tom Jahnke. Now 53, he was born and raised in Abington. He first was introduced to the concerts when he was 3 years old visiting his grandparents, who lived in Harwich before settling in Chatham. In third grade he began singing and in fourth grade he took up the trombone. After graduating college in 1988 with a degree in theater, fitting in time to live in New York City, he moved to the Cape in 1998. 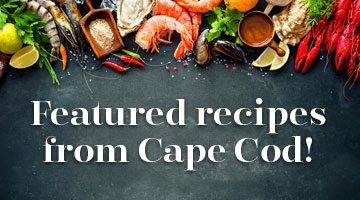 “I moved to the Cape because I loved my childhood memories of Cape Cod in the summer,” he says. Memories are at the core of Chatham Band concerts: reliving old memories, and creating new ones. On any given night it’s possible that there could be four generations sitting on the same blanket, clapping, swaying to the music—a new memory for all. Jahnke joined the band in 2005 as a trombone player and in 2014 became the fourth bandleader in the band’s history. “One of the jobs of the bandleader is to assess the band’s musical past then put your mark on the band,” he explains. He strives for a perfect balance by keeping traditions but adding new songs that will appeal to a new generation. Concerts will always start with “Band Time in Chatham” and end with the “Star Spangled Banner.” And it’s inconceivable to think of a concert without the “Bunny Hop.” But this year you’ll also hear songs by Bruno Mars and Taylor Swift, and August 25 marks the 100th birthday of Leonard Bernstein, so to commemorate that day Jahnke has added a medley of Bernstein’s songs from “West Side Story” to this year’s repertoire.